Rock climbing is becoming a trending sport among the adventure seekers. The terrain of this great country itself is hospitable for rock climbers. 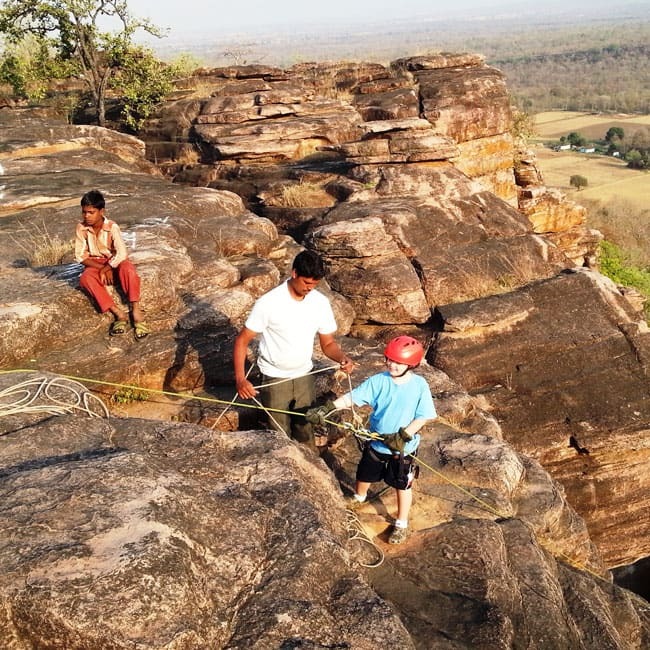 From the Satpura and Vindhyachal range of Deccan plateaus to the mighty Himalayas, one can find many such places and institutes for rock climbing in India. Himachal Pradesh:- Himachal Pradesh presents brilliant opportunities for rock climbing in the Himalayas. Manikaran has many mountains with tremendous potential for exploration in this area. 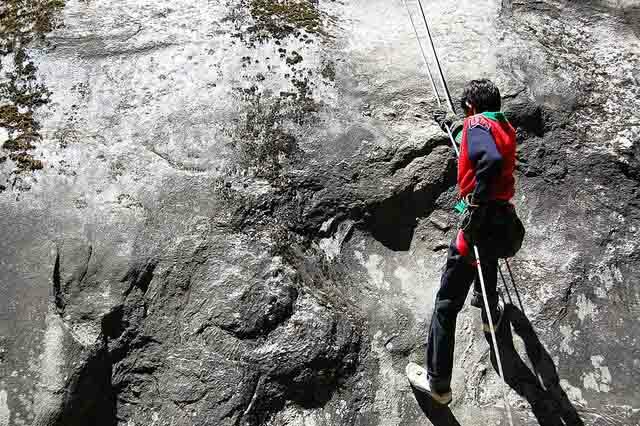 Manali and Kullu valley also boast of exciting opportunities in rock climbing. There are many clubs and organisations here that set up such adventurous events. Uttarakhand:- The places like Rishikesh and Gangotri are famous amongst foreign travellers for river rafting and mountaineering. This state has many peaks like Sudarshan, Nanda Devi, Kedarnath and much more. This place has magnificent natural beauty, some of which still remains unexplored. But, the terrain here is really rough and the weathers change ceaselessly. Surely a place to test your mettle. Madhya Pradesh:- The borders of Madhya Pradesh engulfs a large share of the Deccan plateau. Pachmarhi, situated on the hills of Satpura is popular in central India for its cool weather and adventure tourism. The hill station offers a great deal of rock climbing upon the old hills and also, sports like paragliding are organised here. Maharashtra:- The Sahyadri mountains are home to some of the great picturesque locations in India. There are plenty of places where one can ingest the thrills of rock climbing along the western ghats. Lonavla and Mahabaleshwar regions are famous for such treks. Some of the hills here were the foundations of ancient Maratha forts. There are even some government mountaineering institutes situated in the state. Delhi:- The Delhites often like to spend their weekends outside the concrete jungle. The capital city is surrounded by some beautiful green belts and rocky terrains. 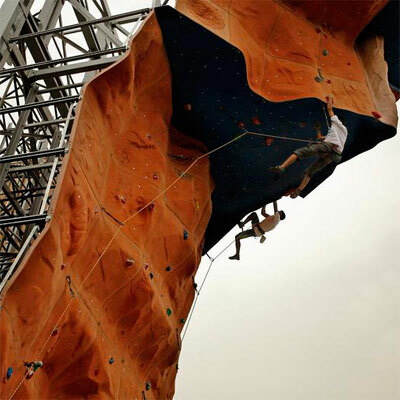 You can easily find rock climbing events organised in a park between the Qutub Minar and Saket metro stations. Also, a few adventure parks have sprouted in the Gurugram area due to growing impetus for adventure sports. Many private and government-operated institutions for mountaineering organise special treks and rock climbing sessions across the country at different locations. The rock climbing scene is rapidly growing in the country since nowadays, people seek a sense of thrill and raging adrenaline in their otherwise normal lives. Also, it is a great outdoor physical activity that would definitely test and increase your fitness. So, this weekend, get out in the open sun and explore such hilly terrains. But, don’t forget your safety equipment. Safety First!